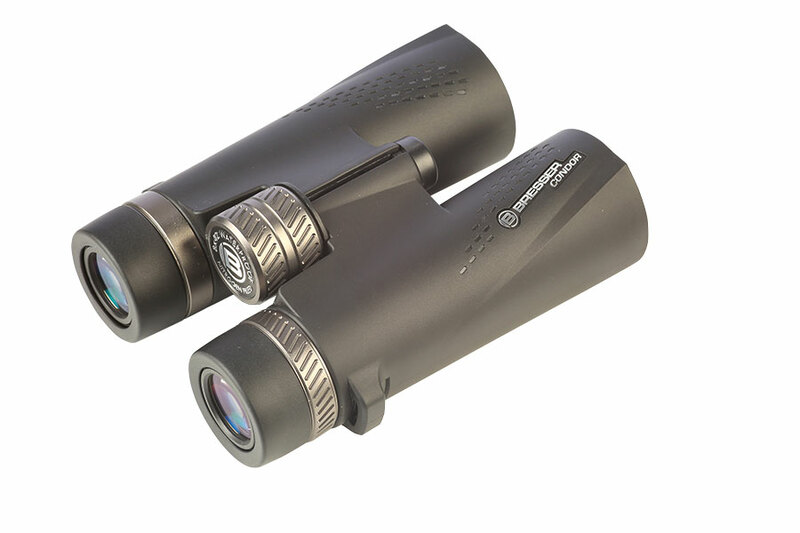 For less than £150, these are really a very impressive pair of binoculars all-round. Optically very good, with an unfussy, well-built feel that makes them a pleasure to use for long periods. If you don’t want to break the bank, they should be one of the first options you look at. 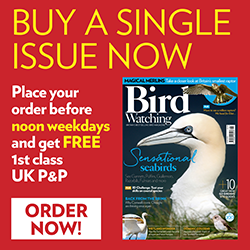 Bresser is a brand with a long and venerable history in birdwatching, but we’ve seen relatively little of them in recent years. 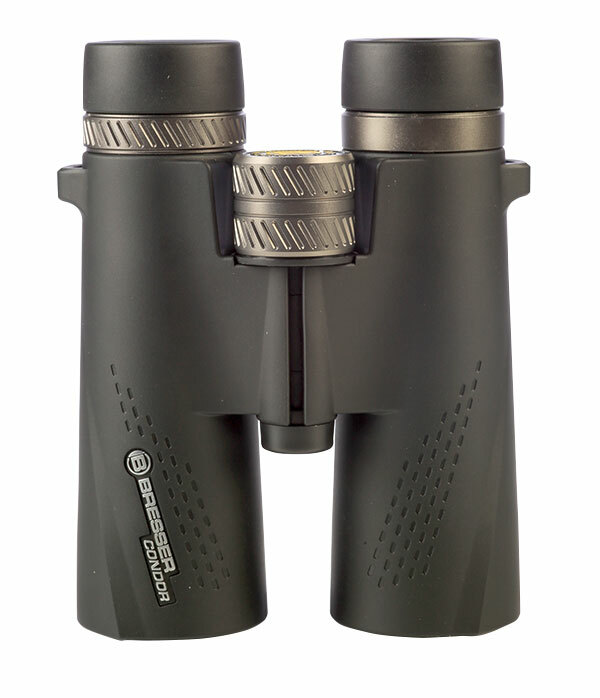 A number of new binocular ranges have been released by them, though, so I took a look at the Condors, whose pricing ought to make them highly attractive to beginners, or the budget-conscious. They straight away score well for looks and design, with plenty of solid rubber armouring, but a well-balanced feel that makes them feel rather less than their quoted weight of 696g. They’re neat and straightforward, and perhaps the biggest compliment you can pay the design is that you really don’t think about it when you’re using them – you can start using them straight from the box without having to think about anything else. The eyecups twist up and down and offer four click-stopped positions, with a maximum of 17.1mm eye relief, meaning there should be something to suit all needs. The eyecups themselves are hard plastic, but were comfortable in extended use. I liked the focus wheel, which is a good finger-and-a-half wide, and well ridged for extra grip, even when wearing gloves. It moves very smoothly, if rather stiffly, and takes one-and-a-third anti-clockwise turns to move from close focus to infinity. Precise focus was simple enough to find, and because of that slight stiffness, very tiny tweaks were easy to make too. The dioptre setting is on the right barrel, and while it’s not calibrated or lockable in any way, it’s easy to set and stays in place well while you’re out in the field. Optically, there’s very little to criticise. The image is sharp, with only a little fall-off towards the edges, and relatively bright too, although in really low light conditions you do perhaps notice the absence of ED glass. Nevertheless, for most birders, and most situations, they do the job more than adequately, and it wasn’t as though they made birding at dawn or dusk a chore or even impossible. Field of view is 118m@1,000m, and that sharpness close to the edges means that it never feels restrictive. The colour of the image is natural and true to life, and try as I might while birding through several days of blazing summer sun, I struggled to find much in the way of colour-fringing. Against very strong light, or while swinging the bins round quickly to follow a moving bird, it is there, but it was never enough to be distracting, and certainly considerably less than you might expect from binoculars of this price. Close focus, at 2m, is really pretty good without being anything exceptional, but again it will be more than enough for most needs – certainly, I found it fine while doing a bit of dragonfly-watching, as the birds drowsed out of sight in the midday heat. There’s a decent, stretchy neoprene strap (again, rather better than you’d usually expect to find on binoculars at this price), along with a snugly-fitting rainguard, removable objective lens covers, and a good (and really rather stylish-looking) fabric case, with its own strap. I rarely, I have to admit, use a case a great deal, but this one is hard to fault.